Mangaluru, June 25, 2015: M.N. Shanker, a veteran cricketer and a former physical instructor of St. Aloysius College passed away during the early hours of June 25, Thursday. He was 88 years of age and is survived by his wife, a son, two daughters and innumerous admirers. M.N. 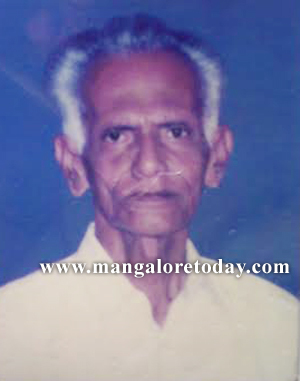 Shanker who hailed from Mangaluru was born on July 15, 1927. He studied at St Aloysius High School and Government College ( Now University College) in the city. He was a middle order batsman known for his stylish shots and had played for Mangalore Sports Club in the city. His cricketing career sparkled with several centuries which won him hundreds of fans. He worked as physical director of St Aloysius College for two years. Nitte University Chancellor Dr N Vinay Hegde and former Lokayukta Justice N Santosh Hegde are among his several students at Aloysius College where he was the favourite physical instructor of the students. Shanker who later left for Mumbai joined the Cotton Textile Export Promotion Council of India’s cricket team there. He was later inducted into the Council and was transferred to Chennai as the Endorsement Officer of the Council. Upon retirement he lived in Mangaluru. He even used to coach young cricketing talents as part of the summer coaching camp of Dakshina Kannada Cricket Association nearly two decades ago. M.N. Shanker’s body donated to Justice K.S. Hegde Hospital: M.N. Shanker’s family has donated his body to Justice K.S. Hegde Charitable Hospital for medical research purposes as per his wish. His eyes have also been donated.